Christmas is coming sooner than you think. It will sneak up on us before we are ready. Do you need a quick gift Idea that is really cheap, useful, easy to make and you can create it in less than 3 minutes? Then keep reading. I'm going to share with you this really cute Idea I found online. Nope this one is not my own. 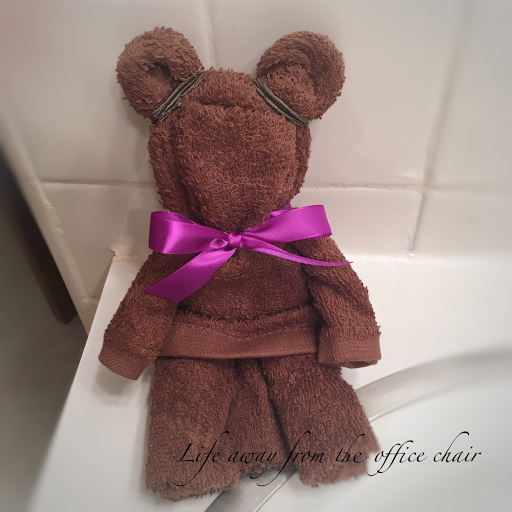 I just do not have anything else to write about today so I'm gonna share this cute little "Towel Bear" I made. 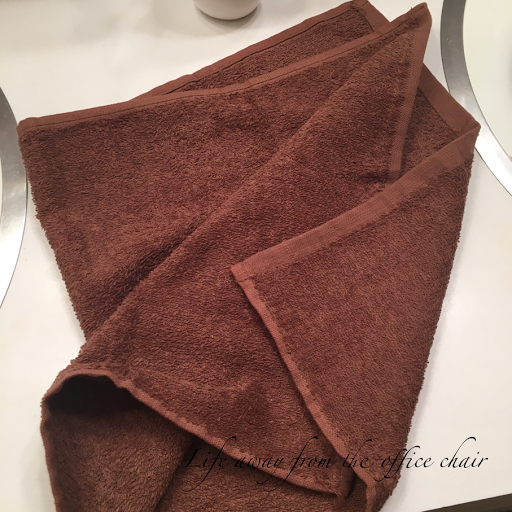 1- Hand towel. (I got mine at Walmart for .98 cent). 3- Hair ties. ( you can use rubber bands but the hair ties can be re-used on hair). 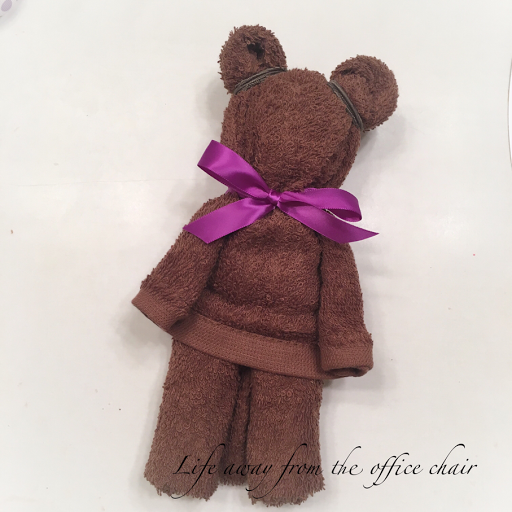 Click HERE for a video showing you how to fold the towel and make this adorable little teddy bear. Just add a lotion, soap, hand sanitizer, gift card, candy, etc to the bear and you will have a useful gift in a spur of the moment that they are sure to love. These would make great gifts for teachers, employees, neighbors, secret pals, friends or even homeless shelters. They would also be great gifts for your college students. Everything in this craft can be put to use. The best thing about it is, it requires NO sewing or glue. You do not even have to be crafty. You just need to know how to tie a bow. Well...I am going to try this...so cute and if it turns out as cute as this one, I will make 10 more...perfect for my Bunco friends.....thanks so much. Perfect idea! I bet you could do it with a dish towel too and add cute utensils. The room folks made things like this on the cruise we took a few years ago. That is so cute, what a great idea. Your bear came out better than the video!! Lisa, that is absolutely adorable!! What a great idea, yours is so cute! Thanks for sharing it at C&C with J&J! I want to try to make one too! It's just as cute as it can be! Thanks for sharing your creativity with us and Happy Thanksgiving!